Millennials, the group of Americans born between 1980 and the mid-2000s, are the largest generation in the United States representing one-third of the total U.S. population in 2013. Most members of this generation are at the beginning of their careers and are important drivers of the economy now and in the future. The significance of millennials extends beyond their numbers. They are the first generation to have had access to the internet their entire life and it is the most diverse and educated generation to date. Possibly the most important facet of this group of young men and women is that they came of age during one of the most recent difficult times in our history…when the recession of 2007 began. They faced unemployment, few opportunities, the rising cost of college and economic uncertainty. The millennial generation will shape our economy for decades to come and as they become a more dominant portion of the workforce, their needs and wants are becoming increasingly important to event and meeting planners. We must learn how to engage this technology-savvy, and at times self-concerned, generation. Conversation: More breakout sessions. Fewer lectures. Millennial attendees want to feel included and participatory, rather than talked to. 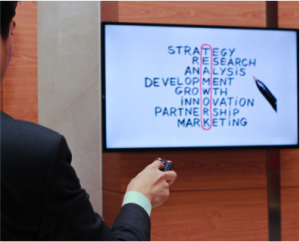 Include engaging activities to break up information presentations and use PowerPoint sparingly. Encourage conversations in new ways. “Any of you between the ages of 20 and 30 stand over here.” “Any of you with less than five years in the industry gather over here. Those with 5 – 10 years, gather over there.” “Who grew up on the East Coast? Stand at the front of the room. Who grew up in the South? Stand at the back of the room.” Identifying differentiators encourages a sense of belonging and gets people talking. Then, pose conversation starters among small groups such as: “What is your first memory?” or “What was your first date?” Encouraging personal sharing creates a quick bond. Networking: Millennials tend to be more introverted and may have a hard time generating the authentic conversations they crave. Icebreakers, even cheesy ones, can go a long way toward helping these attendees make the connections they desire at events. That’s what the ideas above are all about! Hashtags: It’s important to market your event on social media, but, depending on the size of the occasion, hashtags may not always readily accepted. Millennials are excited to join in for larger conferences—and build their own personal brands in the process—but smaller events can appear to be looking for a marketing handout. Free stuff: Everyone loves freebies! Whether it’s complimentary alcohol (a must for many millennials) or a cool sweatshirt put something the hands of attendees. The cooler the item, the more excited they will be. Sponsorships: Company support is necessary to help fund events, but sponsors that don’t coordinate with an event can be a big turnoff. On the flip side, millennials readily embrace companies that give back to good causes and may become brand loyalists based on a sponsor’s support for a particular event. Signs of a good event: Millennials want to be surprised and impressed and are eager to share information on events that exceed expectations. They appreciate an opportunity to build a greater community, which includes continuing relationships even after an event and extending the outreach by recruiting their own network to future events. It’s important to be millennial-minded than to target millennials specifically. Many of the topics covered above cross into other generations so be conscious of what can be beneficial across the board and implement those things to add impact to your event. Find out the hottest incentive destinations for 2019! Experts Weigh in on the Most Effective Way to Torch Calories From Walking! Find the Perfect Tote Bag for Traveling! From Philadelphia to Malaysia, find out the latest from Four Seasons Openings and Enhancements. MFactor is a dynamic corporate meeting and incentive event management company conveniently based in the heart of the San Francisco Bay Area. We specialize in corporate events which include company meetings, customer events, incentive programs, board meetings, sales kick-offs and user conferences for groups from 20-5,000 people. © 2014 MFactor Meetings, All Rights Reserved.